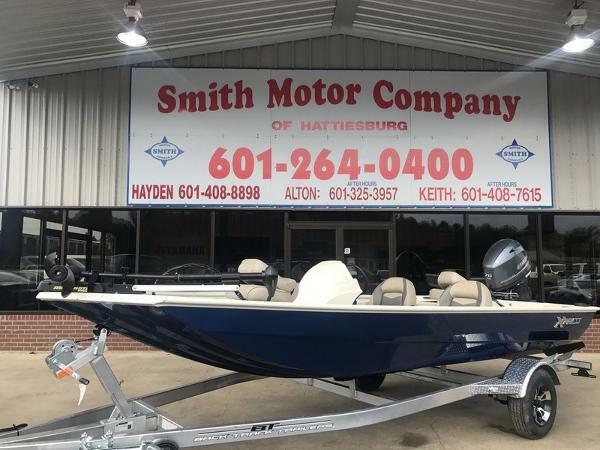 2017 Xpress XP16PF YAMAHA 25HP: SALE PRICE: $15,995.00 YAMAHA 40HP: SALE PRICE: $17,995.00 2017 XPRESS XP16PF, 2017 YAMAHA FOUR STROKE ENGINE, 2017 BACK TRACK CUSTOM ALUMINUM TRAILER, MINNKOTA 45LB TROLL MOTOR, HUMMINBIRD PIRANHA MAX 4 LCR, AERATED LIVE WELL. Agile, nimble, and perfectly appointed describe the XP16PF. Designed by crappie fisherman, built by craftsmen. 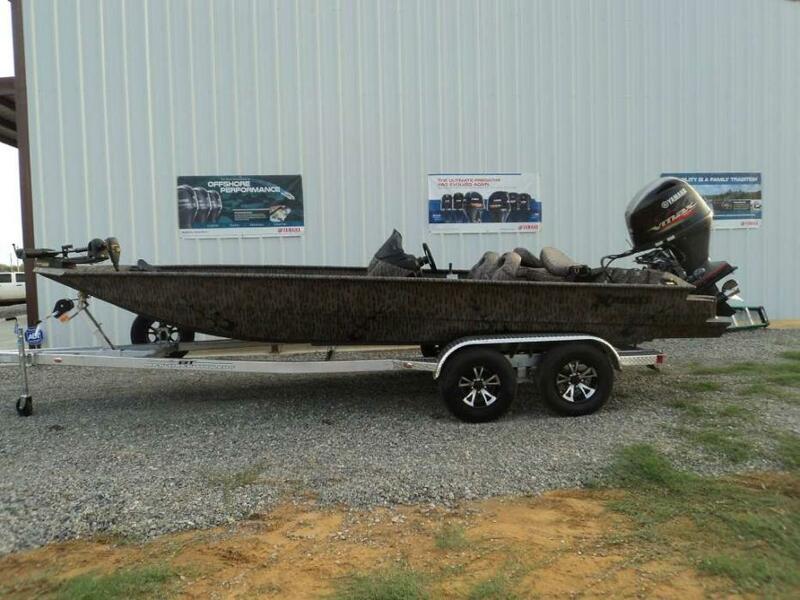 This is the complete stick steer, feature packed crappie boat, getting you where you want to be in comfort and style discerning anglers have come to xpect. 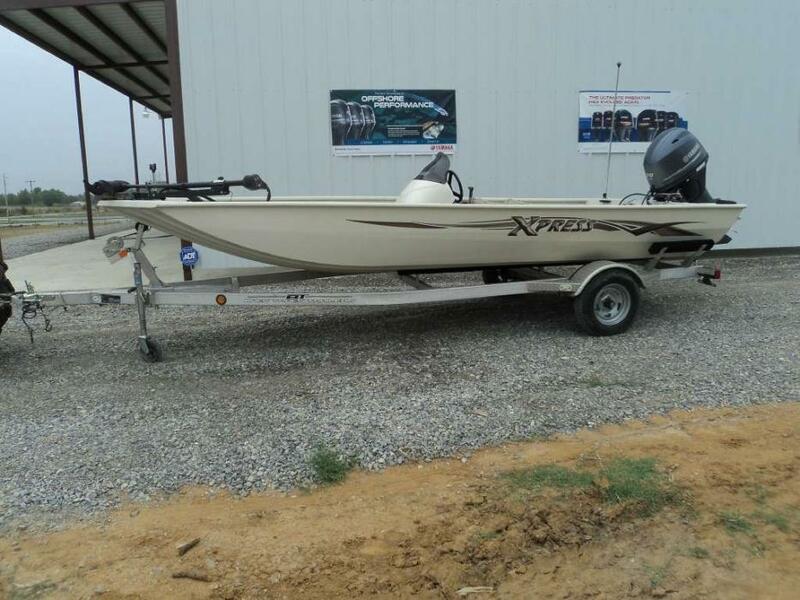 2013 Xpress XP18CC This 2013 Xpress XP18CC comes powered with a Yamaha 70 4 stroke WARRANTY UNTIL10/17/2018 and has 282 hours) MOTOR HAS ONLY RAN WITH NON-ETHENOL FUEL. 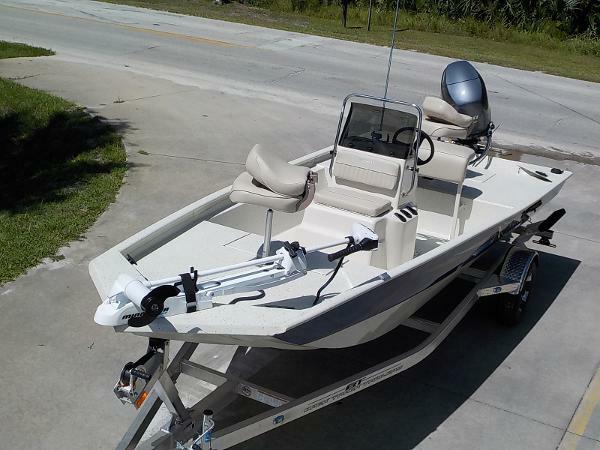 Loaded with Bimini Top, Lowrance Elite 5 unit at the console, 8' Power Pole, MinnKota 12volt trolling motor, Stick pole up front. 2017 Xpress XP7 Crappy 2017!! 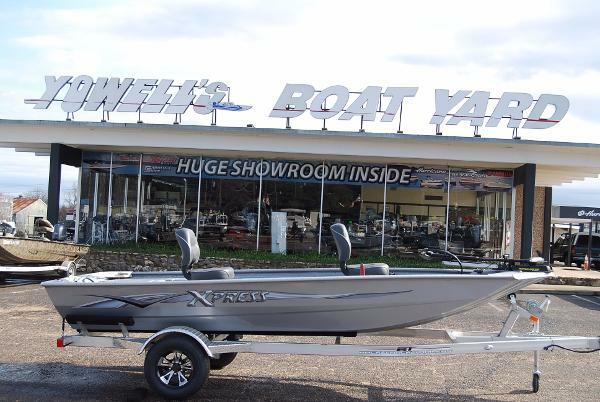 2017 Xpress Boats XP7 Crappy XP17 CRPPIE!! Monthly Payment As low as. 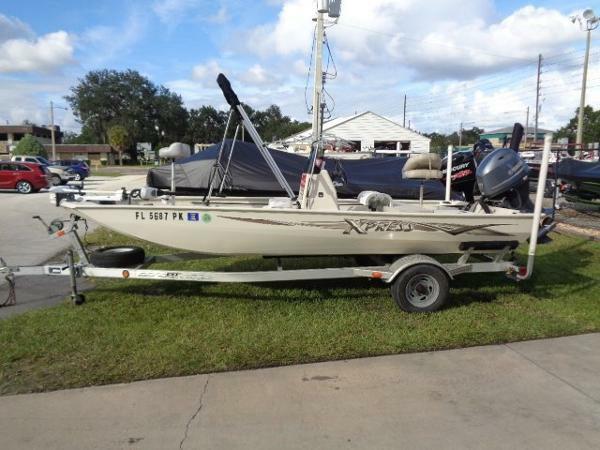 * $160 WAC PRICE INCLUDES INCLUDES DEALER PREP SHIPPING AND BATTERIES New Express XP 170 this boat is ready for what ever you can though at it! With its rugged spray in liner interior, and all welded construction you will be amazed with the quality and workmanship of this boat! 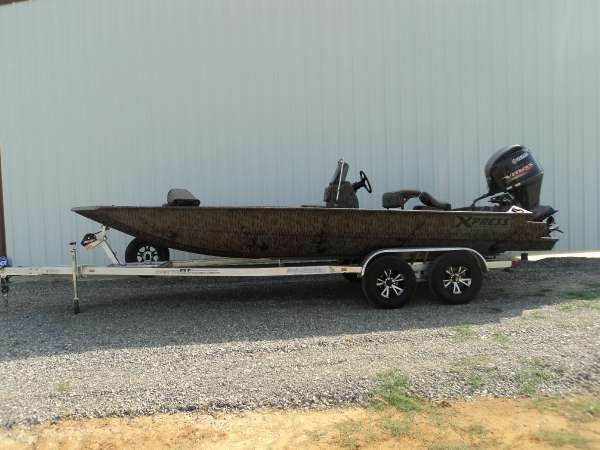 It's rigged out with a rod box, trolling motor, aluminum trailer, humming bird depth finder, alloy wheels and led lights on trailer, running lights, and tons of deck space! What more could anyone want for crappie-bass fishing, or even hunting! This beautiful boat is ready for the water! Every new boat we sell comes with hitch to motor warranty from the factory, along with my personal cellphone number for after hours questions or concerns. 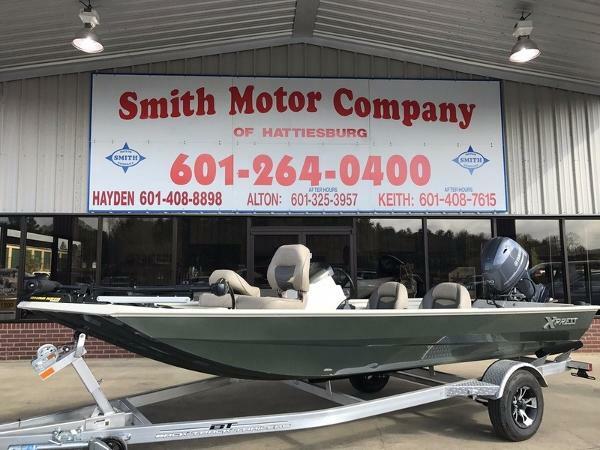 You have trusted Smith Motor Company with your pre-owned vehicles for three generations, and now you have available the same great customer service on these quality built Xpress Boats. These boats are built with QUALITY materials ALL WELDED!! XP17 CRPPIE!! 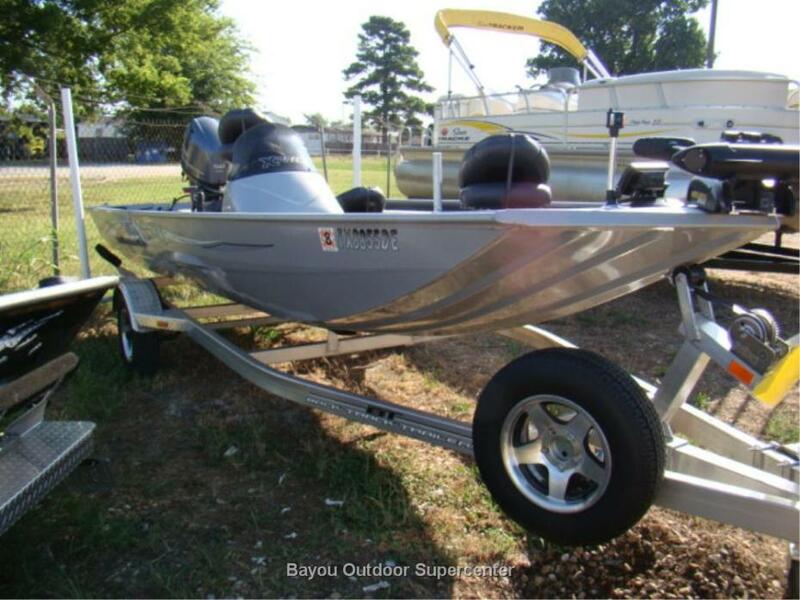 2014 Xpress XP160 2014 XPRESS 16ft Xplorer Bass Series, Yamaha 40 EFI 4-Stroke power-tilt/trim, and custom drive-on BackTrack AWHD17 Aluminum Trailer!. LOADED! The all new Xplorer Series by Xpress Boats was designed to give you performance and style at an unbeatable, all-inclusive package price. 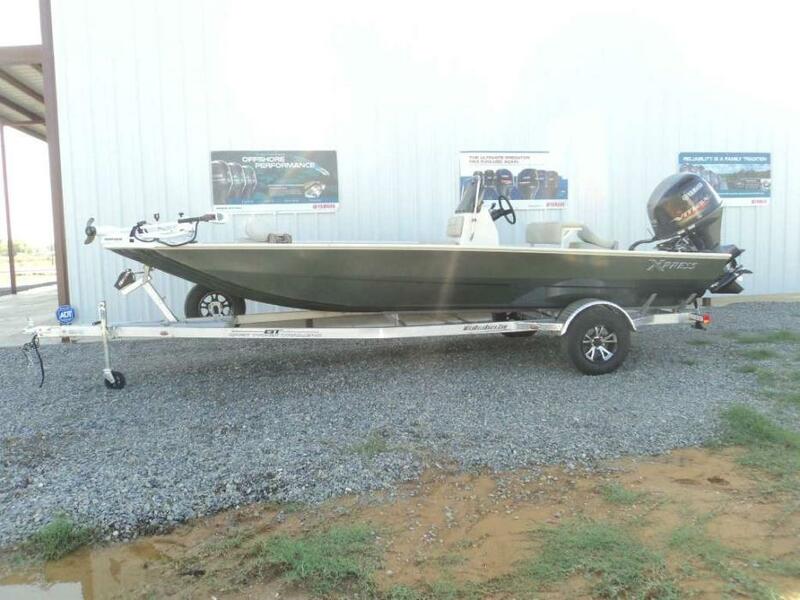 It is loaded and ready to go with Hydro-Dynamic Hull, Xpress Camo Paint, All Welded Construction, Longitudinal Rib Construction, Uni-Body Injected Foam Construction, 2 Fold Down Fishing Seats, 8 Gauge Trolling Motor Harness, 18 Gallon Fuel Tank, 20 Gallon Aerated Livewell, Bilge Pump, Color Coordinated Graphics, Fold Down Driver & Passenger Seats, Front Deck Storage, Humminbird PiranhaMax 160 Graph w/ Swivel Mount depth/fish finder, MinnKota 45lb. 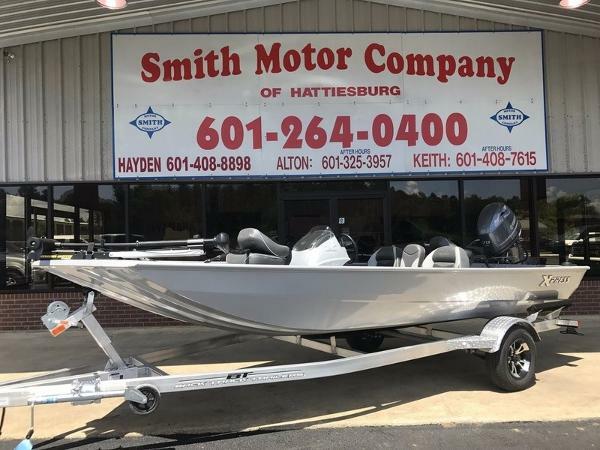 Edge foot-controlled Trolling Motor, Side Rod/Gun Box (carpeted inside), Speed, Tach & Fuel Gauges, Sportsman Series Side Console & Tinted Windshield, Standard Fishing Deck w/ Floor Space in Front of Console, front deck storeage (carpeted inside). Water-ready with batteries and gas!